The seated Virgin is holding the Christ Child on her right knee. She is looking at her son. The Child in turn is looking at and grasps a cat which struggles to escape. Note the scene is dynamic not static. Leonardo made a number of drawings on this theme. He referred to the cat as "Nature's Masterpiece." 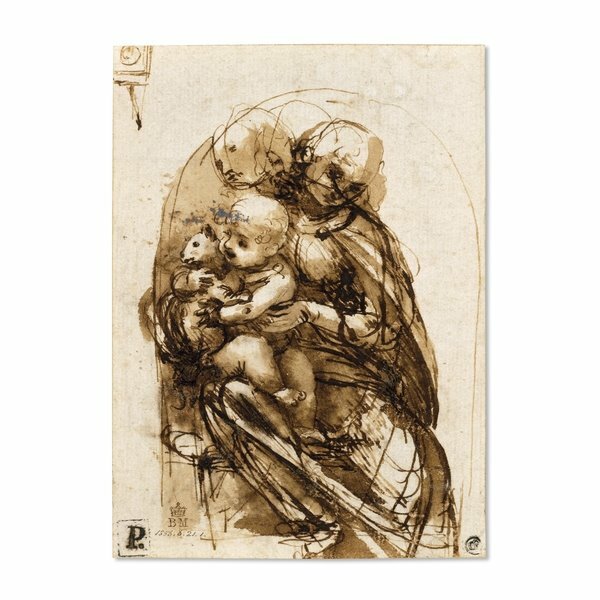 However there has not been discovered a painting by Leonardo on this theme. Cats were often used as emblems of sight or liberty, or to create a domestic scene. Frequently the artist, however, just seemed to like cats.